This is a 3 part seminar about Drift Fishing Artificial Eggs for Steelhead. I gave this seminar in Steelhead River at the 2014 Western Washington Sportsmen’s Show in Puyallup, WA. 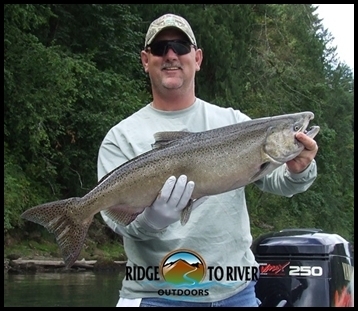 Drift Fishing Artificial Eggs for Steelhead can be done from a boat or by anglers on the bank! Regardless of whether you are new to drift fishing or you find yourself running out of eggs, drift fishing artificial eggs can put fish to the bank or the boat. Make sure you check out our sponsors for the products we use for drift fishing artificial eggs!